In Hammock Preserve, a gated community being developed by the DiVosta unit of national builder Pulte, the amenity center is almost complete and is set to open in late summer. An 8,900-square-foot clubhouse is the crown jewel of the perks of in living in this community, with its various facilities including a spacious social room with catering kitchen, a state-of-the-art fitness center, and a grand outdoor verandah overlooking the pool. Besides its resort style pool, Hammock Preserve’s amenity center also features a spa, outdoor bar, fire pit with sitting area, a dog park, and courts for tennis, bocce and pickleball. DiVosta matched these facilities with the 388 residences it has set at Hammock Preserve, with inputs from the community’s first homeowners as well as prospective buyers of . This builder has made available in this community nine designs of single-family homes and attached villas, with their floor plans ranging from 1,542 to 2,852 square feet. These choices come with two to five bedrooms, two to four-and-a-half baths and two- to three-car garages. The pricing of Hammock Preserve homes for sale start from the low $300s and tops in the $600s. A short distance west of Hammock Preserve, construction has started too on the amenities of another new Palmer Ranch community across Honore Avenue—Esplanade on Palmer Ranch. The finer details of the community facilities of this development were disclosed by its developer, national builder Taylor Morrison during the amenity center’s recent groundbreaking. The community’s residents can look forward to being pampered at the Koquina Sand Spa featuring a full-service experience in its indoor and outdoor areas run by a spa manager. Taylor Morrison is likewise bringing into Esplanade on Palmer Ranch a wellness center with cutting-edge exercise equipment, locker rooms, and fitness consultants. The community’s fitness center is accessible to residents 24 hours a day, and it provides not only state-of-the-art cardio and strength training machines but is also equipped free weight options. In addition, the center will offer personal training sessions and a variety of group fitness classes. 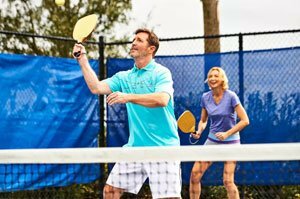 Sports lovers in Esplanade on Palmer Ranch have options to play tennis, pickleball and bocce ball at the amenity center’s playing courts. Additional delights for residents include a resort-style pool with covered cabanas and a full-service Bahama Bar serving food and beverages. They can also spend their leisure time in the community’s pet park, event lawn, adventure isle and walking trails. 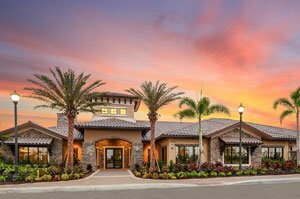 Special events, socials and parties are occasions to look forward to Esplanade on Palmer Ranch, with a full-time, onsite lifestyle manager to take care of holding these activities. Taylor Morrison’s floor plans available at Esplanade on Palmer Ranch include detached villas and single-family homes with floor areas of between 1,689 and 3,006 square feet. Garden condos are likewise set in this community. 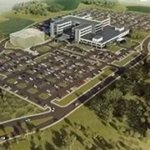 Pricing of builds in this community starts from the mid-$300s.